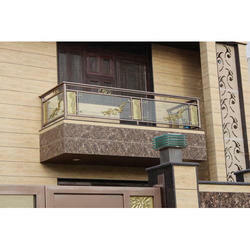 Prominent & Leading Manufacturer from Mumbai, we offer bolted balcony glass railing, transparent glass balcony railing, balcony stainless steel railings and brass balcony railing. We are a prominent supplier of premium quality of Bolted Balcony Glass Railing that is procured from the reputed maker of the market. 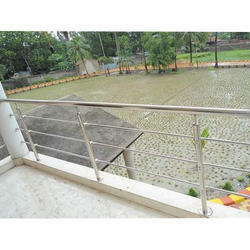 Our customer can avail from us a wide series of Transparent Glass Balcony Railing. Backed by rich industry experience and knowledge, we have been able to provide a broad range of Balcony Stainless Steel Railings. 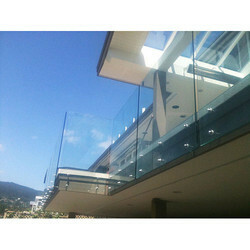 Balcony rail provide modern look to balcony. Made from SS pipe . Different design available of it. 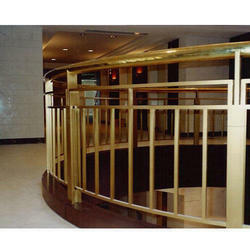 Customers can obtain from us wide array of Brass Balcony Railing that are in accordance to the industry defined quality norms and specifications. The offered product is widely preferred by our valuable clients because of its various features like efficiency and durability. Apart from this, offered product is manufactured from good quality basic material that is sourced from trustable resources of the industry.